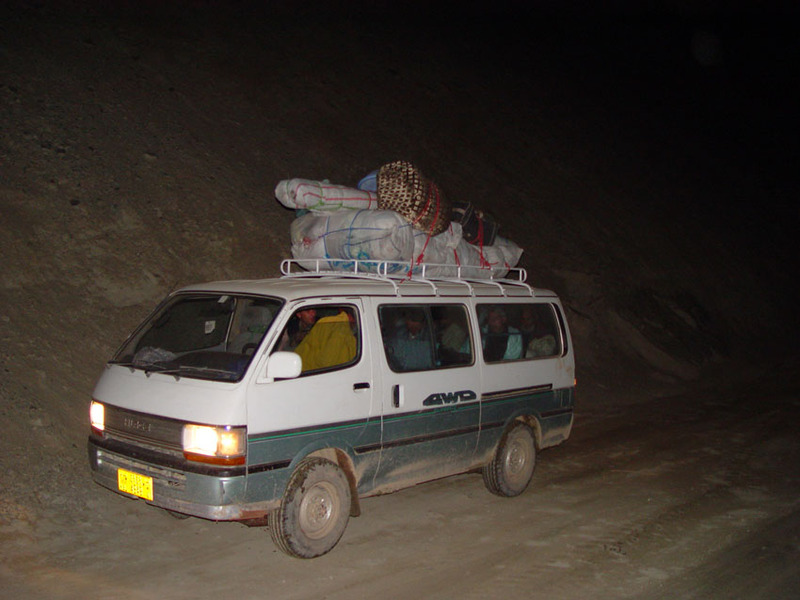 The biggest pass which created fairs and favor to travelers was the “Haji Yaqub” pass. The Haji Yaqub pass is the biggest and the highest one. We already had passed lots of others. The pass was filled with snow and it was stormy. An old traveler with his wife who came pilgrimage was behind me, they were telling weird words of God’s names and lots of others whom are followed by lots of people like prophet and imam. They were asking God’s help repeatedly. The other whispered, “Yes we really survived. 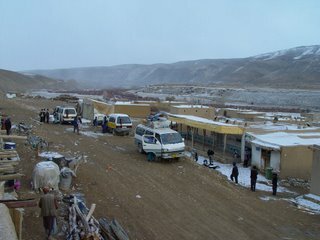 This was the most dangerous pass not only difficulty with snow, but robbers too.” They pulled their hands up, spelling words of Arabic and thanked god. More than two hours later we were going into the darkness. The narrow road caused a traffic-jam and we stopped until the others left the road. After a few hours we reached a small coffee shop, which was almost full. There was only one room, where food was served. It had also a place for sleeping. I asked people where we were and what the name of the place stood for. “This place is called Sarayee Markhanah” said the owner of the coffee shop. He told me the long history of this road and the “Sarayee”. He insisted that this was one of the roads linked with Asian countries. I didn’t have a voice recorder to record the story. He was very old, almost 80 years old. I realized that I am on one of the “Silk Road” routes. The Silk Road is the famous route where the Asian countries linked together. The Silk Road recently became a symbolic political aim for the western world to follow their worldwide political strategies in central Asia. Today, this road has a lot of specific signs telling its history. “Sarayee” is a Farsi word meaning a big garage with lots of rooms for travelers and their horses. Lots of custodians took care of the luggage. People came from Japan and other Asian countries, through this route to India. Several Sarayee still have their signs for counting time and distance. For example from this Sarayee to another one takes a whole day walking until the next one is reached. I just asked the people and they named a few of them like: “Sarayee kotal onai”, “Sarayee duzdqol”, “Sarayee saisang”, “Sarayee Du Sang”, “Sarayee Markhanah” and “Sarayee Kotale Mullah yaqub”. In the books written by historical writers, the Silk Road continues until Bamian but the end seems lost, it’s never mentioned where it goes after that. The reason why the history writer couldn’t follow continuing the Silk Road is still not mentioned and it remains anonymous. But now I am on the route of one of the Silk Roads and in one of the famous Sarayees with the name of “Sarayee Markhanah”. I am writing this post from a coffee shop in this Sarayee. I don’t know the name of coffee shop. My travelers and others who came late in the evening are all sleeping. I am writing my diary and two others are talking about their adventures of being in different frontlines of fights during the Soviet Union invasion. 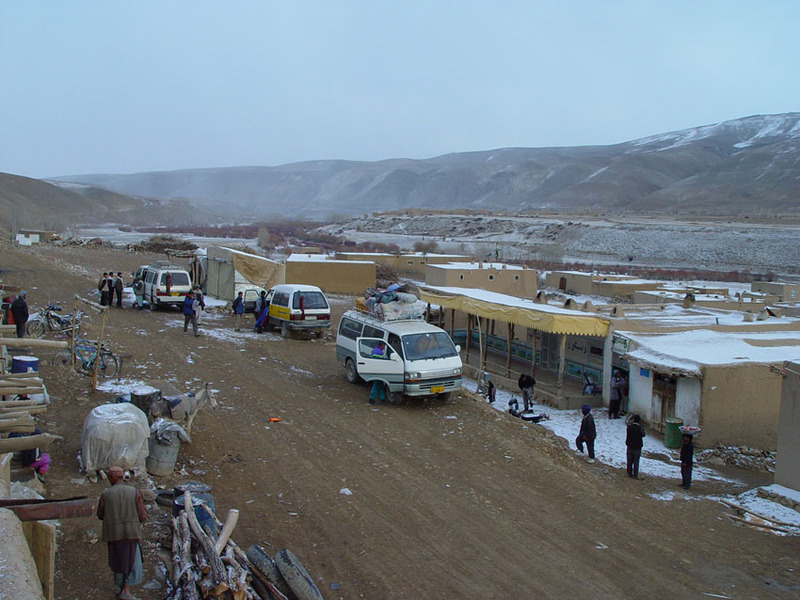 This place is in “Behsood” district, part of “Maidan Wardak” province. 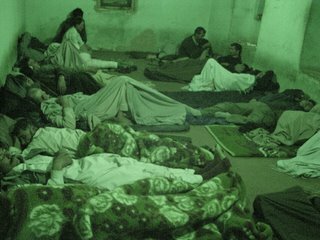 The room is almost 5x10m, more than 25 people sleep stuck to each other. Their breath makes me think of the sound of a generator, but not normal. Tomorrow I should follow my way to the destination and step by step get it gets clear where I am going. I never before stepped around here, or heard the name of these places. I just went to the toilet; I saw a young boy shivering out of the door, wearing a summer suit. “From which tropical climate you came here?” I asked him. “From behind the backside of this hill, called Gurdam, just 30 minutes walking” he answered. “How did you come here? By car or walking?” I asked him. “I came by walking here, there is no road where a car can pass, but a motorcyclist can get through the narrow passage.” He answered. He told me there is a big valley, where 3500 people live, “But we don’t have road, we don’t have a clinic, we don’t have schools.” I asked him if they don’t have a hospital where they take their patients. “Mostly they die, but it happens rarely that they are taken to a hospital for treatment, because the hospital is so far from our place. The nearest hospital is 60 kilo meter away from us”, he said. Almost sixty thousand people, and they have to take their patients to Tagab hospital in Behsood. This is after five years of Karzai government.